It was a great experience she’s very nice and I will like for her to place my braces. Dr. Lindsay Ringdahl has been treating patients at our office since 2012. After graduating from the University of Central Florida with a Bachelor in Science, Dr. Ringdahl earned her doctorate in dental surgery from the University of Florida, where she received the “Excellence in Orthodontics” award. She then obtained her Masters of Science degree and her Certificate in Orthodontics from Nova Southeastern University. 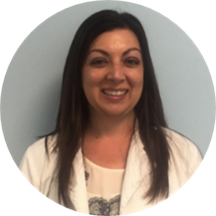 Her patients love her kind and gentle personality as well as her pursuit of perfection in the outcome of her completed treatments. Great as usual. Always pleasant. My visit here is always wonderful. I come every month and not once I got a bad experience. Everyone here is so nice and friendly. Great atmosphere. I would definitely recommend this place to anyone who need a dentist or an orthodontist.